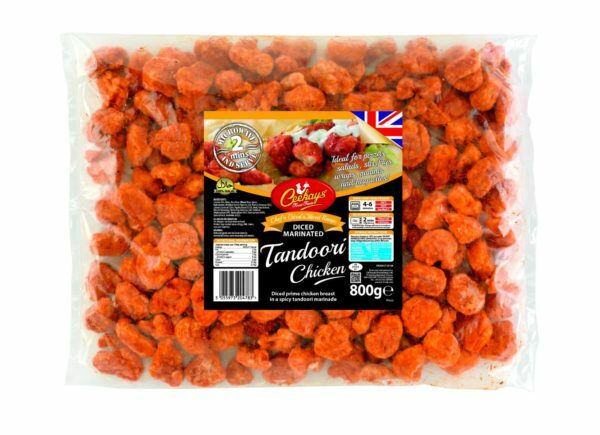 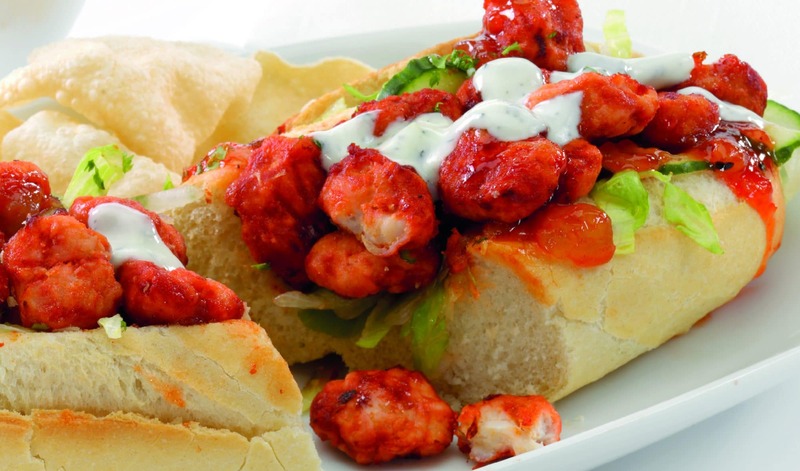 Diced prime chicken breast in a spicy tandoori marinade. 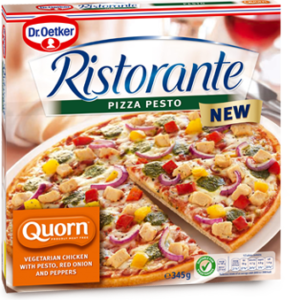 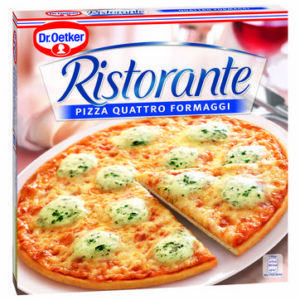 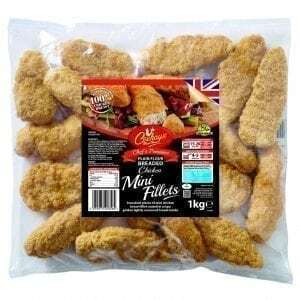 Chicken 85%, Water, Rice Flour, Wheat Flour, Spices, Maltodextrin, Modified Starch (Tapioca), Salt, Flavour Enhancer E621, Colours (Caramel E150a, Paprika Extract E129), Herb, Yeast Extract, Natural Flavouring, Flavouring, Dextrose, Salt, Stabiliser (Triphosphate E450, Triphosphate E451, Diphosphates E450), Spice Extracts, Emulsifier (E322). 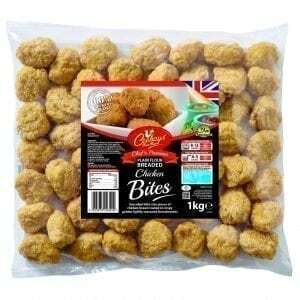 Ceekays Chef’s Premium Plain Flour Breaded Chicken Bites.